Daughter of Framherji frá Flagbjarnarholti (8.27) and Sveifla frá Geirmundarstöðum. Halastjarna frá Heimahaga is daughter of Framherji frá Flagbjarnarholti (8.27) and Sveifla frá Geirmundarstöðum. 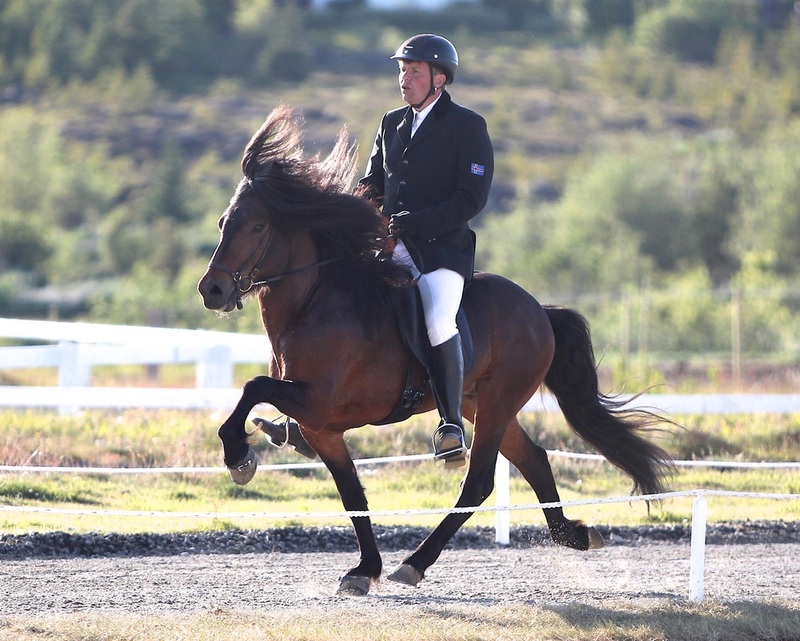 Framherji is located in Norway, he's a four gaited stallion and has reiceived 8.39 for Conformation and 8.19 for Riding Abilities; 9 for tölt, 9 for trot, 8 for gallop, 9 for spirit, 9 general impression and 8 for walk, total 8.27. 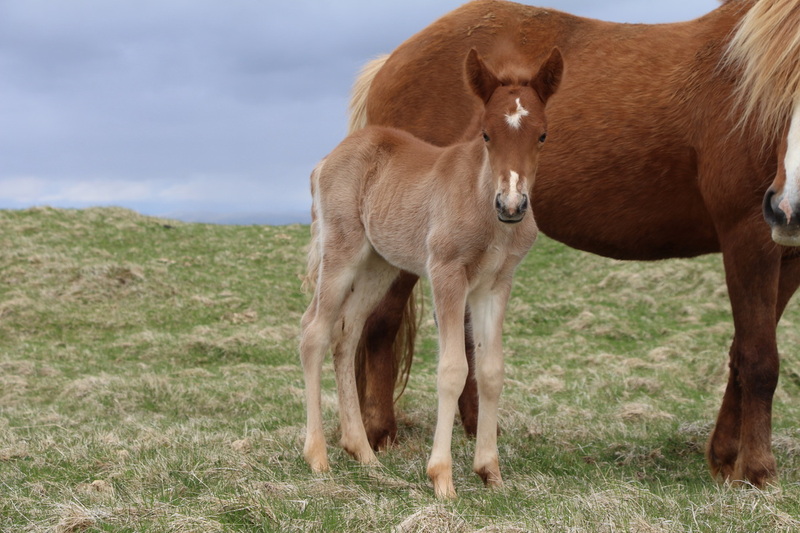 Halastjarna Is Sveifla's first offspring and was born on the 24th of May, same day as her sister, Framtíð frá Heimahaga. 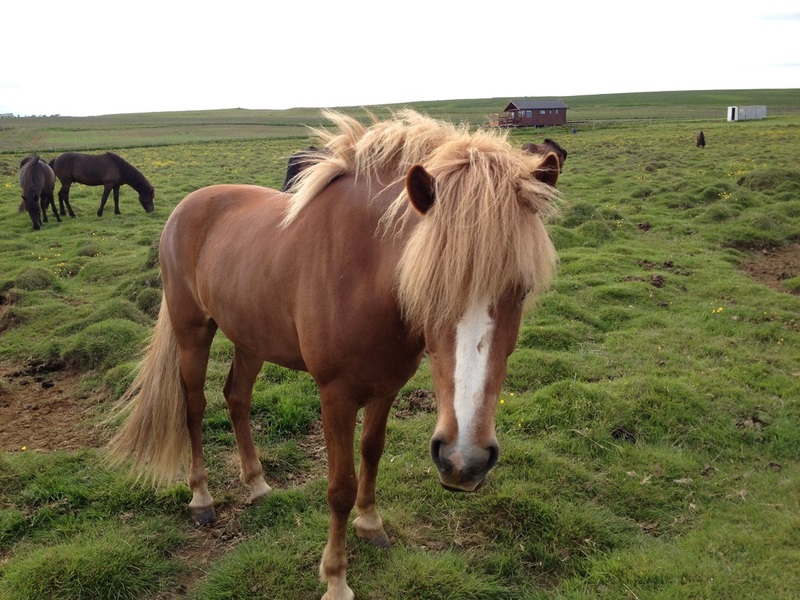 Sveifla frá Geirmundarstöðum is a five gated mare with high foot-lift, excellent slow tölt and very good spirit. She's daughter of Kokteill frá Geirmundarstöðum (8.02) and Heiða frá Hafsteinsstöðum, daughter of Feikir frá Hafsteinsstöðum. Sveifla is a very good mare but in 2011she had an accident and unfortunately could never be shown in a Breeding Show.